Network Time Protocol will synchronize your camera with an Internet time server. Simple Mail Transfer Protocol (SMTP) is an Internet standard for electronic mail (e-mail) transmission. See here. H.264/MPEG-4 Part 10 or AVC (Advanced Video Coding) is a video compression format that is currently one of the most commonly used formats for the recording, compression, and distribution of video content. See here. 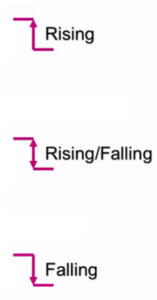 Universal Plug and Play (UPnP) is a set of networking protocols that permits networked devices, such as personal computers, printers, Internet gateways, Wi-Fi access points and mobile devices to seamlessly discover each other’s presence on the network and establish functional network services for data sharing, communications, and entertainment. UPnP is intended primarily for residential networks without enterprise-class devices. The camera support a different resolution, 720P, VGA, 1/4 VGA, etc. High resolution give the top of video but the code flux will become larger to, an it will take up more bandwidth. Generally speaking, the larger the bit rate and the clear video will become. But the bit rate configuration should combine well with the network bandwidth. When the network bandwidth is very narrow, and the bit rate is large, that will lead to video can not play well. It is the time between las key frame. The shorter the duration, the more likely you will get a better video quality, but at the cost of higher network bandwidth consumption. PTZ camera is a camera that is capable of remote directional and sometime there is also the zoom control. See here. The SDIO adapter block provides all functions specific to the MMC/SD/SD-I/O card such as the clock generation unit, command and data transfer. The I2S protocol is used for audio data communication between a microcontroller/DSP and an audio Codec/DAC. Micro Controller Unit – is a single chip that contains a Processor, RAM, ROM, clock, I/O, timers, USB, etc. 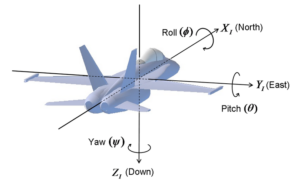 How to convert RPM to the Frequency, see here. For see the differences from the different release of BT see here and here. Smart Ready and Smart . 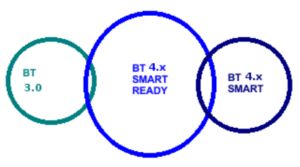 BT 4.x Smart Ready identifies the dual-mode support or compatibility with older standards and more advanced features. BT 4.x Smart is for simple devices that aim to reduce consumption, this version is NOT copatible with the older BT standards. Bluetooth HID over GATT: It ensures minimal latency to the low-power devices like mice, keyboards and joysticks. Bluetooth MAP: Allows you to improve the interaction to other Bluetooth devices such as integrated systems of automobiles or other Android device.